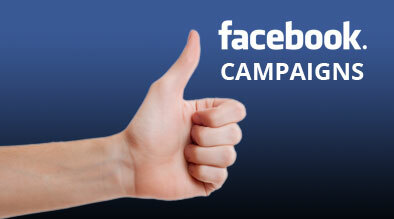 What: Facebook offers advertisers the ability to promote their business, Facebook page or event. 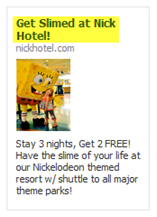 The ads are shown to users who have engaged with a Facebook Page, event, application or ad. 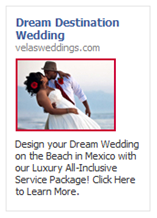 Facebook advertising differs from Google advertising for several reasons. In Facebook, advertisers bid on age, gender, interests, education or relationship status versus in Google advertisers bid on relevant keywords. In Facebook advertisers are able to target to a deeper segmented audience. In a recent 3 month campaign, one of Milestone’s client was able to get 6 million views of a particular ad for only $775. Why: Facebook has more than 500 million users and is growing! In 2010 Facebook was the top-visited Website of all U.S. visits, beating Google. Millions of people are on Facebook which provides an enormous amount of reach for any business. With Facebook ads, advertisers are able to target specific niche audience through intricate targeting options based on user defined “likes and interests.” Facebook Ads feature images, allowing for increased brand exposure, interactions and conversions. Facebook advertising is continuing to grow and is expected to hit $4 Billion in 2011. Currently, Facebook’s CPC structure is less expensive than Google’s CPC pricing but Facebook is expected to increase the cost. Milestone has seen that Facebook’s CPC is often 63-81% lower than an AdWords campaign. There is less competition on Facebook for ads which is driving this lower cost-per-click. Facebook PPC campaigns should start at a minimum of $15/day. Right now is the time to run Facebook advertising. How: Before starting a Facebook Paid Search Campaign you must identify your goal for the campaign. The goal can be to increase the number of likes on your Facebook page, to increase the number of fans for your Facebook page, or to promote a special or deal for your hotel. Once you know your goal you should define your target market. You can outline the target market by demography, psychographs and/or geography. Facebook Insights of your Facebook page provide these statics to understand your audience. Once the goal and target market are defined for the Facebook ad campaign the ad is created and activated. Conclusion: Facebook advertising is a new and critical part of a paid search campaign, allowing advertisers to target ads with specific niche audiences for a low cost. Facebook provides a new avenue from Google’s high CPC and broad audience. The ability to include images in the ads has a huge impact on conversion rate. Facebook advertising will continue to grow and improve. Home Making Search More Social	Mobile Paid Search – Don’t Wait!